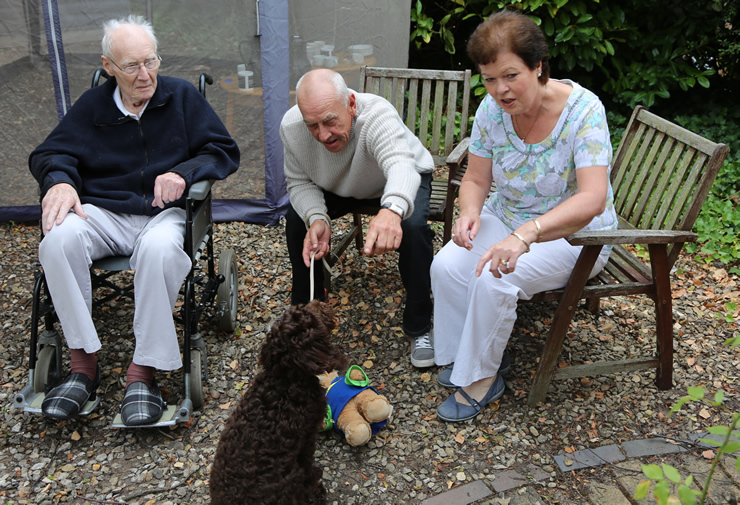 We aim to give our residents a 'home away from home', so we actively encourage friends and family to visit as often as possible. It is not usually necessary to make an appointment, although we do ask visitors to be mindful of lunch and dinner hours (12pm - 1pm and 4:30pm to 5:30pm) to ensure all residents are able to enjoy their meals. However, if you wish to assist your family member then please speak to the Nurse in Charge to discuss your request. Residents are welcome to invite friends and family to lunch or evening meals, although there is a nominal cost for this. If you are inviting guests, the Chef would appreciate some notice to allow for additional food to be prepared. For reasons of fire safety, we do ask all visitors to sign in when they arrive and sign out when they leave (the signing in/out book is located in the main entrance to the Home). Part of being a caring home is being a safe home, so we have taken steps to ensure our residents are safe at all times. Security key pads are fitted to the main entrances and exits, and visitors are noted by at least one staff member before access is granted. At night, any visitors are met at the door to verify who they are. Family and friends can email or Skype call our residents if they wish; please speak to Tracy, our activities co-ordinator, who will assist in setting up email and Skype accounts if required. The staff have access to an iPad for residents' use, enabling sending and receiving of emails and most forms of electronic communication. We do ask that relatives and friends leave an email address to enable us to keep you updated with news. In order for us to maintain impeccable standards of cleanliness for the benefit of residents, staff and visitors, hand gel pumps are located throughout the building. We ask all staff and visitors entering and exiting to use them as this minimises the spread of bacteria. The home has a non-smoking policy, individual wishing to smoke can do so in the dedicated smoking area. Please ask a member of staff for details.